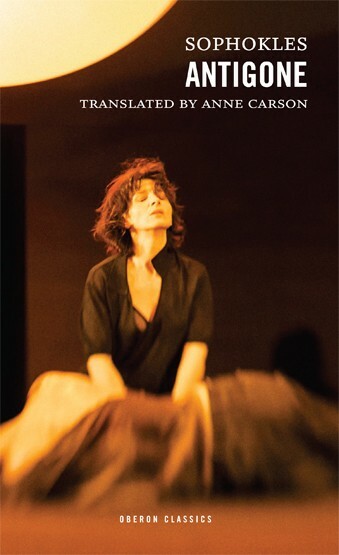 Yes, I did go to see Antigone at the Edinburgh Festival because Juliette Binoche was in the title role (I loved her work with Kieslowski, though unfortunately this time, images from Chocolat kept surfacing in my mind). And I made a discovery: Anne Carson’s new translation of Sophokles’ text was wonderfully fresh. The language was crisp, real and punchy, and the text made graceful patterns in the surtitled performance I saw. The chorus definitely stole the show, searingly truth-telling from beginning to end. Ivo van Hove’s production has closed, but you can still dig into the process that shaped the translation. This spring the paperback version of Anne Carson’s Antigonick (Bloodaxe does it again!) 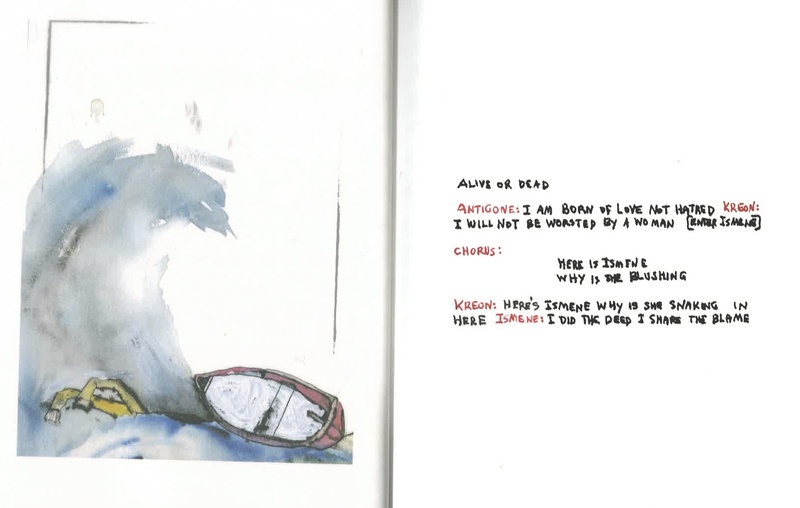 came out – her graphic version of the story with striking images by Bianca Stone. You can watch a reading of it online, with Carson herself as a particularly dry and wry chorus. Or head straight for her next production: there are a very few tickets left for Carson’s version of Euripides’ Bakkhai at the Almeida in London, which closes on 19 September. Anne Carson doesn’t just “teach ancient Greek for a living”; she is most interesting and most elusive, as Sam Anderson found when he tried to pin her down. what is there instead of being born? o sister and daughter of Oedipus, who can be innocent in dealing with you?